MINI has been busy expanding its range in recent years, stretching the brand into coupes, roadsters and even small SUVs. 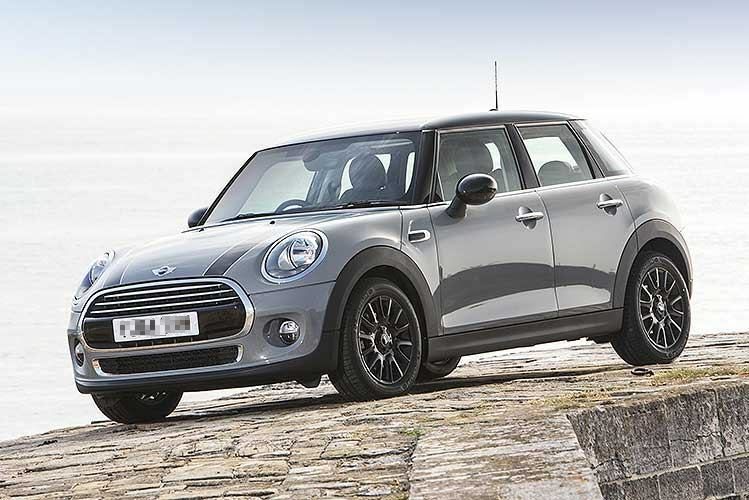 For many though, there’s only one true MINI, and that’s the smallest one – the MINI Hatch. Now the all-new MINI Hatch is here, the brand has pulled off perhaps its greatest masterstroke yet. See, for many, the standard MINI is a desirable car that’s out of bounds for one fundamental reason: it only has three doors. MINI’s answer? The new MINI Hatch 5-door, bringing easy rear-seat access to the most ‘mini’ MINI of all for the first time ever! The car keeps its sub-4 metre length and is thus almost as compact as the three-door. But clever design has transformed interior space, creating room in the back that’s good enough even for adults. Access is easier too and even the boot is much larger than the normal three-door MINI. But what’s it like to drive? RAC Cars found out. The MINI 5-door is a bit more upright than the existing three-door version: the roof is taller and the rear pillars are boxier to create the all-important back seat space. OK, the doors are a bit smaller than on a normal supermini such as a Ford Fiesta, but it’s still much easier to get in and out than the regular car. The space in the back really is surprising. The front seats have been shaped to maximise leg and foot room, while headroom is cavernous. You won’t quite get three people in there, but for two, it’s fine. The boot is much bigger as well. A 278-litre space is almost as large as a Ford Fiesta (295 litres) and the seatbacks are both split 60:40 and boast backrests that can be angled more upright to increase boot space without folding them down. Otherwise, it’s as the regular MINI inside: the charismatic dash is shared, so keeps the distinctive round central display – although these days it masterminds the radio and infotainment system rather than the speedo itself (that’s relocated to the steering column). We tested the new MINI 5-door in Cooper D guise. This boasts a new three-cylinder turbodiesel engine that produces 118hp: it’s good for 0-62mph in a swift 9.4 seconds and a 126mph top speed. It’s an impressively punchy engine on the move, with a responsive and eager feel. We drove it in combination with the optional automatic gearbox and the two worked well together, giving the MINI a sophisticated, big car feel. It sounds enthusiastic when driven harder – some may find it a bit vocal but it does quieten down when cruising so there shouldn’t be too much complaint. It’s only clattery and gruff when first start up in the morning: standard stop-start means you shouldn’t be too bothered by the vibrations it makes at idle. The MINI Hatch 5-door is almost as fun to drive as the less practical three door – meaning it’s an absolute hoot to steer. Blissfully responsive to the wheel, it turns in incisively and has the MINI’s famous kart-like feel by the bucketload. You really appreciate this when driving quickly. The car gives you bags of confidence and never leaves you hesitating or unsure about how it might react. It’s no wonder people buy MINI after MINI. The ride quality initially feels tautly sprung, particularly at speed. But, thanks to superb body control and surprising compliance over rough city centre cars, it’s more than tolerable. Again, drive it fast and the extra control gives it a sophisticated feel. Modern MINIs are not the budget-priced cars they once were, but this is no revelation. What’s more impressive is that MINI has managed to cap the price premium over the three-door to £600 – in line with the premium other supermini makers charge for two extra doors. This is even more impressive given the re-engineering that’s gone into the MINI Hatch 5-door – it’s not been a matter of simply cutting two holes in the rear, that’s for sure. Add in the extra practicality and usability, and some may actually deem this model the better value car. MINIs have a reasonable amount of equipment as standard, but this car could never be called lavishly equipped. The brand is more keen for you to spend extra on options and, in fairness, the various options ‘packs’ do give you lots of extras for your money. No worries here: the MINI Hatch Cooper D 5-door may deliver larger-car pace but it retains its small car economy. The official average is 78.5mpg, despite that automatic gearbox, and we easily saw 60mpg in everyday use. Good economy means low CO2 emissions too. A 95g/km figure is even good enough for free road tax status. The MINI Hatch 5-door may be the car to help MINI break through into the genuine premium mainstream here in the UK. Audi has offered a five-door Sportback version of the A1 for several years, with the sales figures to show for it; finally, MINI is able to respond. With significant additional flexibility over the three-door but without losing the fun styling, charismatic interior and exceptional driving manners, it could actually become the default choice for some. We wouldn’t blame them; that’s how good it is.